Discounts available for groups of 10+ and military. Tours depart daily, check website for current schedule and locations. 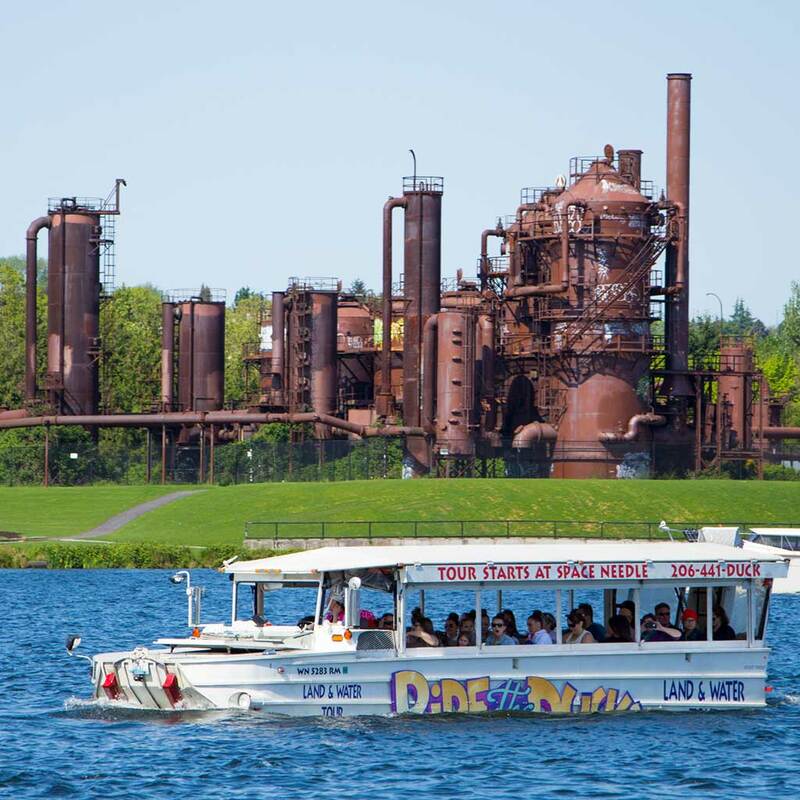 Bus Tour + Boat Tour + Fun Tour = Duck Tour! 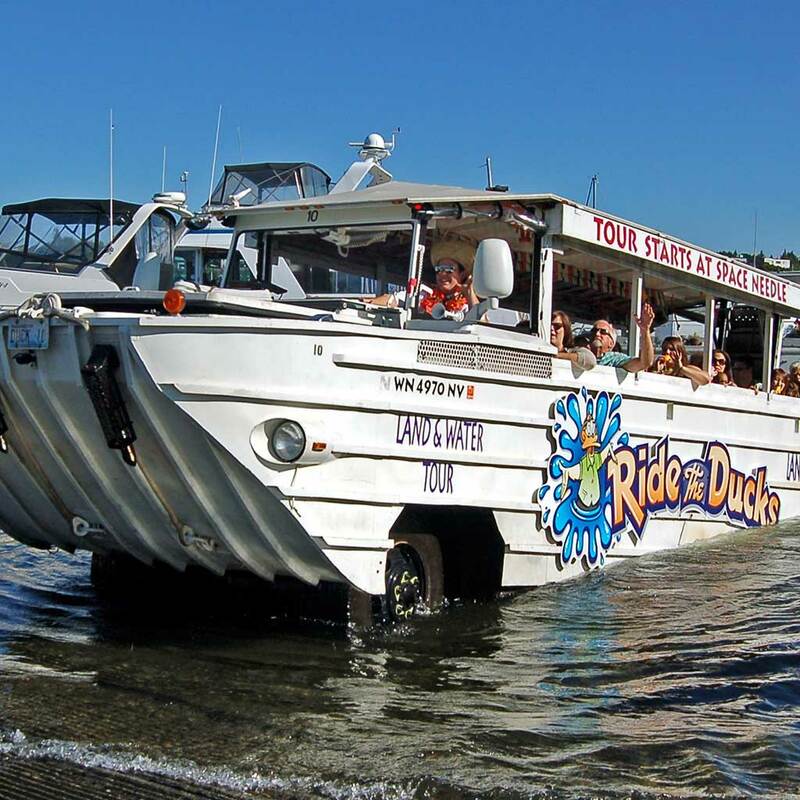 Ride the Ducks of Seattle is the #1 Land and Water sightseeing tour in Seattle. 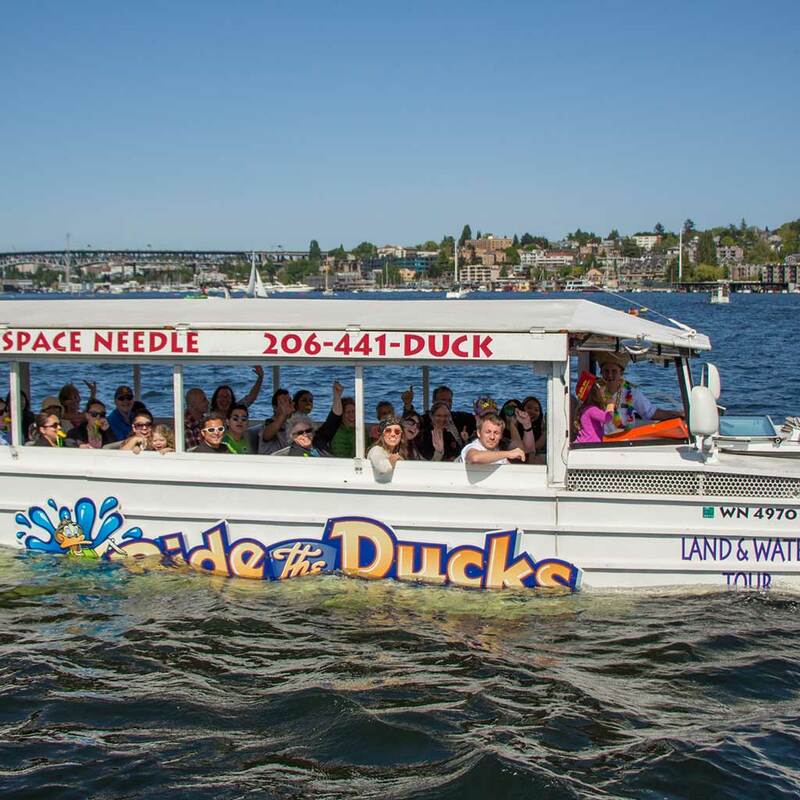 When you hop #onaduck for this 90-minute party on wheels that floats, you’ll see all the sights of Seattle including the Space Needle, the Seattle waterfront, historic Pioneer Square and world-famous Pike Place Market in the downtown shopping district. 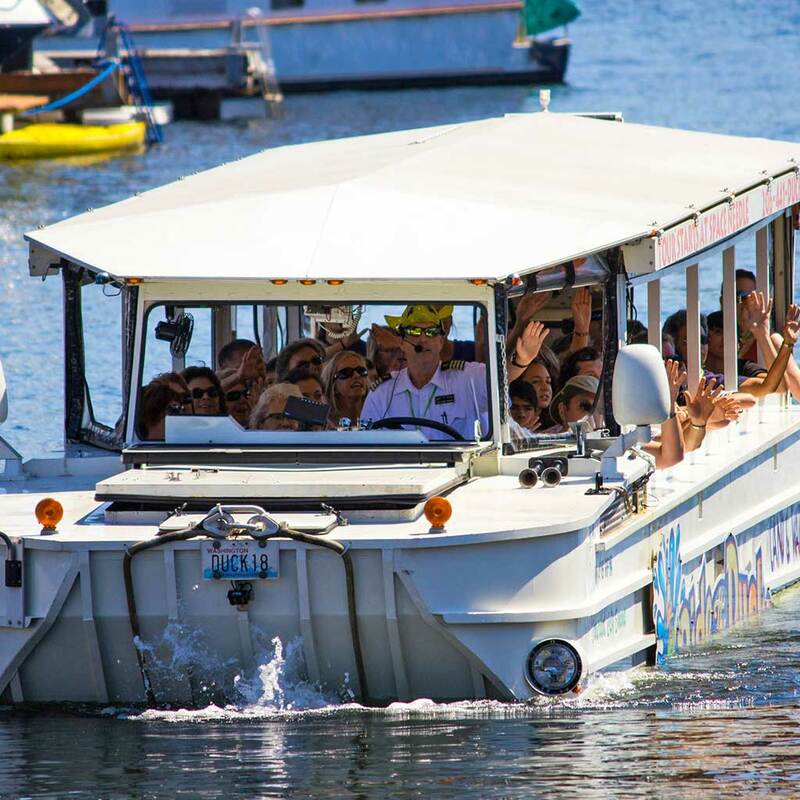 Then, SPLASH into Lake Union with our USCG-certified Captains for a spectacular view of the gorgeous Seattle skyline! This fun-filled, must-do adventure tour stretches nearly twenty miles from Pioneer Square, just south of downtown Seattle, to the Center of the Universe: the quirky Fremont neighborhood! Along the way, your wacky Tour Guide will quack, dance and sing as they share historical facts, local folklore and fun tidbits. Which Seattle neighborhood is in a different time zone? Where was the Boeing Company’s first flight? What animal is the mascot of the first automated car wash? Why was plumbing only a problem until 1889? 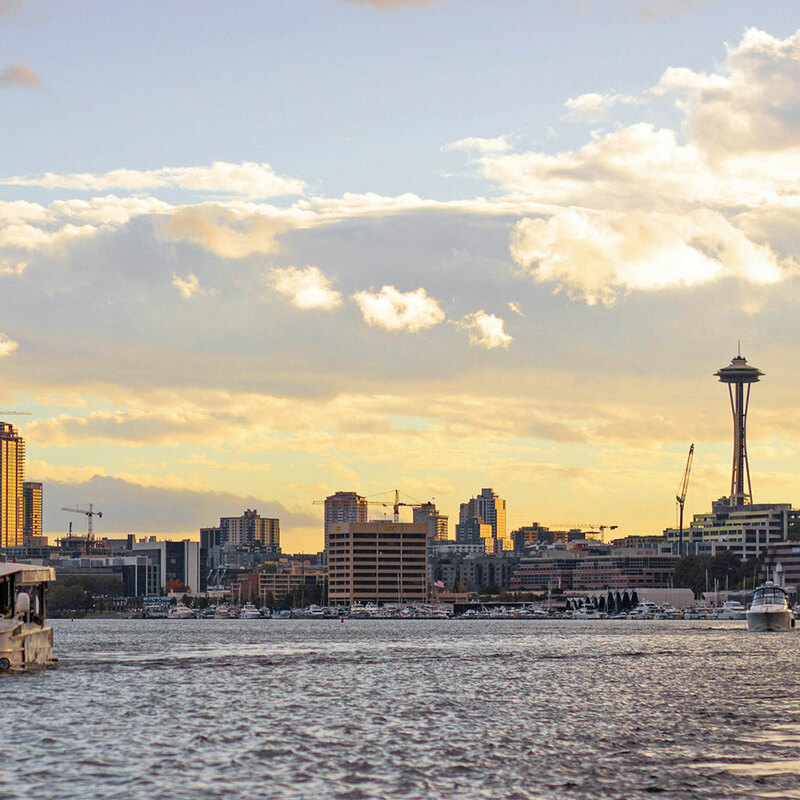 Whether you’re a local from around the corner or visiting from around the world, this sightseeing excursion is a must-do on your trip to Seattle. So, what are you waiting for? Let the dancing in your seat, clapping to the beat, QUACK-ing at people on the street begin!